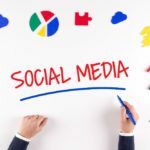 Discover the best social networking marketing strategy for your business by hearing how social media experts use different platforms for their own purposes. Sometimes it is important to be able to see how others do it to give us the best ideas on how to use social networking for our own business. 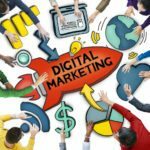 Like we have discussed in previous articles on digital marketing strategies, we do not expect that you will use all of the strategies in this article. Instead, choose 1 or 2 that work best for your needs. I get the most leads by far from my YouTube channel because I built it on the premise of SEO and content marketing. That means that the people watching my videos are actually seeking out what I am talking about and all I have to do is satisfy their initial inquiry to gain their trust and get them to move further down my sales funnel. Many of the videos answer actual issues or teach something that people want to know about. And if they want to know more, they are able to get further down my sales funnel. 1. Reach out to Connect with business owners throughout Southern California (I started by reaching out to business owners who are also USC alumni). I’ve discovered that about 1/3 will connect with me. 2. A week after connecting with them, I send a short message that simply says that I look forward to getting to know them. And under my signature, I have a link to my site. 3. Two weeks after contacting them the first time, I send them a quick message about an article I think that they find useful. 4. A month after that, I send a final message stating that I’m just hoping to develop our relationship further and I ask them if they have a few minutes to talk in the next week. This simple method generates tons of hot leads for two reasons. One, most businesses need my services. And two, all business owners know other business owners that need my services. SlideShare isn’t the first social network you think of for generating leads, but when it was bought by LinkedIn we started to take notice. We were spending a huge amount of time creating blog posts designed to offer helpful advice and generate leads, so the idea of a social network where we could easily create attractive and informative slideshows was too good to pass up. SlideShare is by far the best social network that we’ve used to generate leads so far. The fact that many businesses also use the platform is a huge bonus for us as well, as business contracts tend to pay slightly more. Around 20% of our monthly traffic is generated from social media, and currently, over 15% of that is from SlideShare. which social media platform would be most effective, so I tried several — Facebook, LinkedIn, Twitter, and Google Plus, among others. I guessed that LinkedIn would be most effective, as it is geared toward business interactions rather than social interactions. My guess was wrong. Although I have thousands of connections on LinkedIn and use the service regularly, when I ask new clients why they decided to call me, I have never once been told that LinkedIn was a factor. On the other hand, I regularly hear new clients mention Facebook as prompting their call to me. That has been a surprise to me, as many people had told me that Facebook was of little value in business development, that it was merely a place for sharing photos of kids and pets. I suspect that the reason Facebook has been so effective for me is that I intersperse posts about my business with posts about the kids and pets in my family. By doing so, it seems that prospective clients see me as being three-dimensional, as opposed to merely someone who runs a business. In fact, for business people looking to market their business on Facebook, I suggest consciously doing what I did without planning – alternate posts about their businesses with posts about whatever else is important in their lives. I use LinkedIn groups to for our clients. LinkedIn groups are highly targeted in professional communities. Some are more active than others. One client that makes exotic, “ultrafast” lasers for manufacture saw LinkedIn become their second biggest source of traffic after Google; and the largest source of leads through educational content offers. Yes, there is a LinkedIn group for ultrafast lasers! The more specialized your product is, the easier is to find highly targeted groups. The trick is to participate in the group as a peer, not as a promoter. Don’t sell, help. Educate the audience about important developments in the industry. You will be rewarded. We received most of our leads from Instagram and YouTube. Nearly all of our orders and referrals have come from influencers on those sites. MyBookBox typically reaches out to bookstagramers and booktubers that have at least 10,000 followers or subscribers asking if they would be interested in reviewing or posting about our box in exchange for a free box and offer them an exclusive code for their followers. We usually get about 2 to 3 new subscribers per influencer. It is slow but we have found it to be the cheapest and most effective branding and gives us legitimacy among our customers. We are different from other book boxes because we include 2 books selected from 6 genres to offer for something for everyone. I used numerous social networks, and there is one that stands out the best compared to the rest. Snapchat has been the strongest candidate for driving business results. Over the course of 30 days Snapchat has driven over 910 unique websites hits. This has translated into over 300 leads. Those leads have already turned into $6,000 in profit. While this may not seem significant compared to what can and is usually achieved through Facebook targeting, it shows to me something important. The attention on Snapchat is so massive that people get to know, like, trust and buy from you quicker than any other platform. There is a lot more business to be gained from those who are early movers in this platform. 1:1 relationship than any other platform. The quality of connection and meaningful conversations are beyond Twitter, Facebook or Google+. From January 2016, I have been able to generate over $10,000 in new business from LinkedIn and over 50 qualified leads of potential business in the pipeline which may net us hundreds of thousands of dollars in new business. We developed a proven system with key strategies to help us generate this amount of leads and acquire new clients on LinkedIn. We have been able to establish a presence on the platform, build a network of quality and qualified connections, engage with them to develop trust and build new relationships in and out of the platform which led to referrals and new business. By far, YouTube brings me the most views. One of my videos went viral and quickly amassed 1.5 million views, and that’s been the biggest factor in getting me booked as a comedian. For me, it’s LinkedIn, by a mile. But that may be because of the type of M&A consultancy I provide. I put investors in touch with business owners who want to sell … and vice versa. I have good contacts with investors; the tricky is a bit is finding owners of sound & profitable businesses who want to sell or could be persuaded to sell. How it works: I created a detailed LinkedIn profile that describes what I do and the type of businesses my contacts are looking to acquire. I then filter LinkedIn searches to pick business owners in specific industries and I visit their profiles. When they notice my visit to their profile many of them, out of curiosity, visit mine. Then discover what I’m about and form a suspicion that I visited their profile I have an investor interested in acquiring their business. For many business owners, it creates a little sense of excitement, the prospect of a big chunk of money coming their way. If they are open to talking about selling their business they either connect with me on LinkedIn or send me an email. It’s a simple system, but it works well for my line of business. Out of every 100 profiles I visit, about 30 people visit mine and that generates, on average, 10 leads at least one of whom becomes a client. I am in the mortgage profession. Professional job leads is LinkedIn hands down. Client leads would be FB. I get several deals a year through FB messenger. Most opportunity is indirect via industry events posted on FB. I have hundreds of realtors on my personal page. Keeps me abreast of realtor happenings, events, etc. Like most networking, the results are indirect. FB fan pages generate very little. My time is mainly directed toward LinkedIn and FB. While I cannot point and say, I received a specific lead here, I can say I have had an amazing experience with Facebook. But it takes time and energy for the payoff. Two of my best experiences follow. I’m a Realtor, I blog frequently at my website, and I post my blogs on social networks consistently to build my website traffic. The past year, I can think of three specific transactions, all from my website, for which I’ve done the work and avoided paid SEO. of recommended electricians, plumbers, tradespeople, etc. The response to my post has been staggering. seventy-six comments, over a dozen likes. About half of the people wanted to be on the list or suggested a contractor. Or in some cases told me to avoid someone. The other half want a copy of the list. Once we created the list, we shared through my website blog. This has allowed two excellent opportunities. First, through Google Analytics, I can see this page is getting visits. Good for my blog, traffic, organic SEO. And second, it has allowed me to be in direct contact with seventy local people in one of my primary real estate markets where I have messaged these people and started conversations. The second great experience I’ve had with Facebook is I’ve created a list of the top people I want to stay in touch with. You know, FB sends me a random feed of stuff it thinks is important. But I’ve made my A+ list of people I want to be following. Past clients, strong referral partners, my mortgage lenders. I spend 30 minutes a day Liking, commenting and sharing my A+ group online, and then on Fridays, I write real, send ’em in the mail, handwritten notes to people on the most important special things I discover – frequently birthdays, condolences, anniversary. Being in touch, listening for a change of life events, is important as a Residential Realtor. And Facebook really helps me to accomplish all of this. My #1 strategy now would be to create very attractive images that I know will do very well on Pinterest. I create long vertical images with a strong font and attractive colours, and they get me a ton of re-pins. As each pin stays on Pinterest forever and brings me, new visitors, every day, I find that it is well worth the effort to whip up something good. When you combine having a long pinnable image with a topic that people are interested about, attention to your pin goes up exponentially. I found that using both Facebook Groups and LinkedIn Groups to be very beneficial. By joining, groups of people who network or are into networking and groups that have a lot to do with your niche can give you a huge audience to have access to. Digital marketing is made easy when every person has already sorted themselves into these lists. Some lists on LinkedIn have over 1 million members so you can get some killer exposure. The key here is to come up with sharable content that is really purposeful. A message I send to groups of people I do not know so far has included a short ebook I wrote about networking and it has motivated some people to contact me which is really great. I have gotten feedback and some social approval. This is truly Digital Marketing Made Easy. It does have its fallbacks but these are some really good opportunities here. I started a Search Engine Optimization company a little over a year ago called Dominate With SEO and can easily say that half or more of my current business either started on Facebook with direct communication from me with the business, had a referral from family or friend through Facebook or alternatively a business came across my ad and then followed through to my landing page. We’re very active on all social media platforms and we recently decided to focus all our efforts on the top two: YouTube and Facebook. Twitter, Pinterest, Instagram, Snapchat and even Google+ provide some amount of visits and conversions on our site, but YouTube and Facebook completely dominate with both metrics. To illustrate, YouTube and Facebook are about even but account for 85% of our total social visits, and that is why we’re putting all of our efforts into those two platforms. With 27 years of in-the-field sales experience in the office equipment industry, Larry knows what it takes to be successful. He’s successfully sold copiers, document management, and managed services to customers ranging from up-and-down the street accounts to Fortune 500 companies. After a conversation with a current customer about LinkedIn, Larry became fascinated with this emerging network of business people. He started experimenting with LinkedIn in his copier sales process. During this time, he learned from trial and error what works and what doesn’t work. In the fall of 2013 Larry accepted a new challenge as a major account rep for a Japanese OEM in Los Angeles, one of the most competitive markets in the world. He walked into a zero base territory with no MIF to flip. Using his LinkedIn sales strategies he booked $1.3 million in hardware sales in 2014 and left behind a $1.6 million pipeline for the next rep to develop. Twitter has been the most effective platform so far. Our brand’s hashtag #RethinkTheStink was included as part of the tweet. We gained quite a few followers on Twitter from the contest. Twitter’s ability to search different topics via hashtag allows to engage and reply to tweets relating to our products and beliefs. using the boost function Facebook offers but decided to give it a go. We spend a lot of time on our content for our blog – graphics, writing, idea generation, etc. We figured it was worth the investment to boost our blog posts when they are newly published. We not only see a big bump in traffic on the actual page of the blog on our site, but we started noticing about a year ago an uptick in leads each time we boosted a post. Now we are boosting 1-2x a week. We haven’t found a foolproof way to connect new clients and a boosted Facebook post, but even if it isn’t converting a ton of people – the traffic our site gets is always great and a good way to bump our site up in importance according to Google, and it gets more people reading our stuff, sharing it and just generally helping us to promote it. We continue to do it because we continue to see measured results in traffic and leads each week. This might come as a surprise to many but the social network that brings our agency the most leads is Google+. Our Google+ page is tied to our local address. When people in Columbus, where our agency is located, search for digital marketing agencies and other relevant keywords, our local address with reviews populates towards the top of Google’s search engine. This has generated the most leads for our agency that have turned into new clients. We generate on average 10 leads per month that say they saw our Google+/Google My Business page. On average, we turn 25%-30% of those leads into new clients. Twitter generates the most leads for our e-commerce custom apparel company. We sell a lot of local sports apparel in Ohio. In Cleveland, for instance, we connected with a local influencer who tweets frequently about all of the sports teams. We did a promotion where after each playoff basketball win, we’d giveaway 5 free t-shirts. We gave this influencer some of our swag to reward his followers, who happened to be our target demographic. In order to enter, we created a custom landing page where the users had to enter their email address. During the playoff run, we were able to generate over 1,000 leads utilizing Twitter and the landing page. The only cost associated with this was shipping and the cost of our products. referrals. I believe this is because I have always used it for social networking and kept it professional but personal. Facebook is usually the most personal of the social media platforms so it gives me the ability to share my personality and skill sets in a unique way. 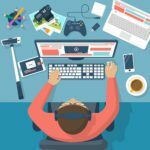 This unique way is more inviting from an engagement perspective than something like LinkedIn or Twitter. That has opened up the conversation time and time along with friends that have passed me business. This business has been strong since it was either referred or information was passed to me by someone close to the potential client. Facebook is the social network that brings me the most leads, Facebook Groups especially. Facebook Groups allow me to answer questions of fellow group members, actually giving value rather than pitching my services. In some cases, these conversations have lead to client opportunities for me. I go into the discussion as just giving insight and being helpful, which what being part of a group is about. Some have taken the next step and sent me a message to talk further. From here there it has lead to them becoming clients. actual pitching of products and services. So there is an opportunity for raising your flag in the group about all that you do as well. Detailed targeting and retargeted Facebook ads. Detailed targeting has helped us narrow down through the right criteria (interests and buying behaviors) of our target audience. Facebook also offers a retargeting tool that was highly effective for us and it is simply – all you have to do is insert their FB pixel code on your actual website. Through detailed targeting we received about 130 clicks to our website for every $20 spent. Through traditional PPC/Google Adwords 130 clicks would roughly cost us $910. Lastly, engagement and cross promotion is key. Thus, publishing original, fresh content that people like to engage with and share organically will always generate traffic to your website. By cross-promoting your press releases and blogs on each social media platform, so begin to create a positive snowball effect on certain keywords and organic SEO; getting yourself more visible on Google SERP. ToTheWeb has been measuring top-converting traffic sources for our B2B software clients for years. We have determined that while social media does provide conversions for our clients, that is not social media’s primary value. Its value comes in building up an audience and having content shared to influencers. The winner is LinkedIn by a wide margin. This is no surprise because LinkedIn is the most widely-used business-to-business network and provides more space than Twitter for messaging, a call-to-action and a photo. few times at different days/times to try and catch as many followers as possible. I’ve built up a bit of a following over the years, but it’s taken time to do so. 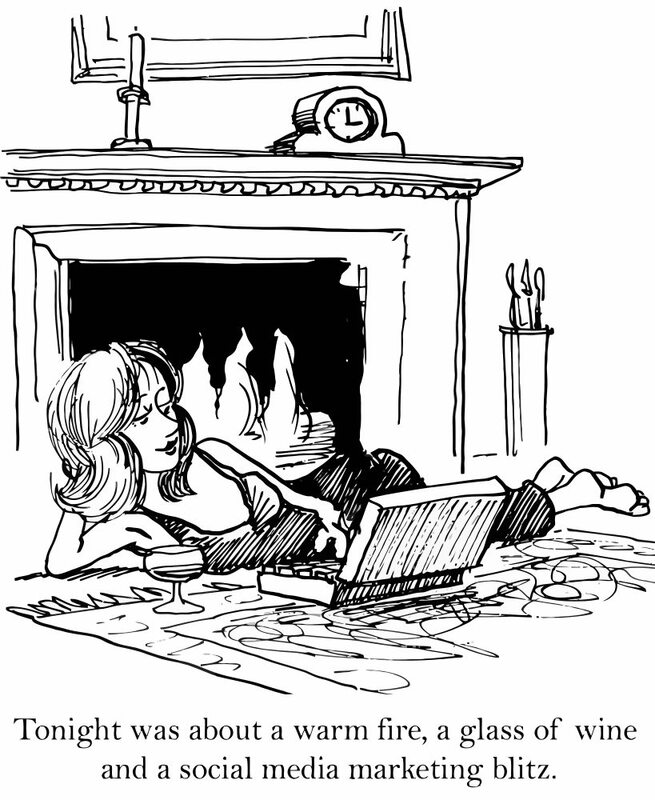 While most people find me either via SEO (fittingly!) or word-of-mouth, I have had a few people discover me via Twitter. In one instance, a client that came on-board as one of my biggest projects, their contact had been following me on Twitter for a while but then also found me for a Google search for seo cardiff; in other words it was a combination of both social media and SEO – the former was proof I could talk the talk while the latter was proof I could walk the walk. on my website on the testimonials page. I think it’s reassuring to prospective clients that businesses have said good things about me via LinkedIn, as it’s more ‘authentic’ (i.e. tied to proper profiles) rather than only having it published on my website, which may not necessarily be true (they could be made up, after all). At Baron Fig we have found Twitter to be one of the best sources of ‘leads’. We are an eCommerce company that also does customization on our products and most of our customization comes from our current consumers wanting to bring their love of Baron Fig to the office. Over 50% of our social referrals come from Twitter and the more followers we gain on twitter the more revenue we see. We have had great success by running weekly giveaways of free product if you follow and retweet us and this has helped grow our base quite a bit. Twitter drives a median 8.5 percent of all social traffic to media sites across Parse.ly’s network of digital publishers. And, although there is no “secret sauce” for digital publishers looking to improve their success on Twitter, we found that sites doing well on the platform—achieving high levels of engagement—are not necessarily the most active; rather, they are sites that are producing interesting and shareable content that appeals to a large number of people. Though Twitter may not be a huge overall source of traffic to news websites relative to Facebook and Google, it serves a unique place in the link economy. 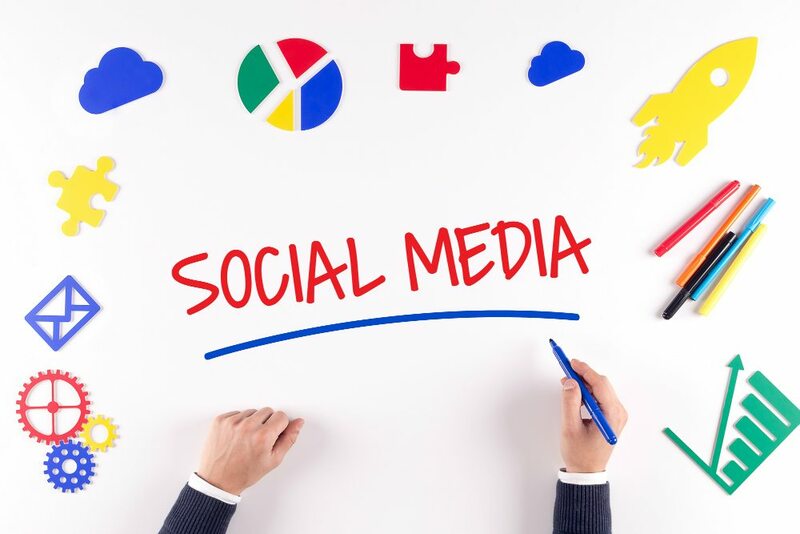 As you can see from this article, every expert has their own take on how to best use social network marketing strategies for their business. While many of the social network marketing strategies will not work directly for your business, many of them can work. If you want additional help with your social media marketing, then get your Free Social Media Cheat Sheet by filling out the form below.